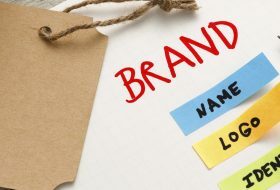 Personal branding is a huge thing right now. More and more people are starting to dislike working with big scary corporations and are tending to lean towards finding someone who is willing to build relationships with their clients. Thus, your personality and networking skills are the keys to finding you new customers and increasing sales. Your personality is all that sets you apart from others in your industry. Spice up your business by adding your little quirks and personal touches. Your clients would LOVE to get into business with someone they can relate with on a personal level! This has got to be the first time you’re hearing this, but if you really want to be at the top of your market, you better know every little thing there is to know about it! Being up to date with any changes in the industry is a quick and easy way to impress new clients. Read the latest blogs, subscribe to market influencers and keep updated with the latest tech, news, and trivia. Be sure to post online on all important and relevant topics- this WILL add a layer of expertise to your persona, which will attract more followers to your personal brand. Spend a LOT of time on social networks you use for business purposes. Facebook, Twitter, Instagram are all great tools you can use to market yourself. Don't always post about work- your followers will appreciate and enjoy some access to your personal life and time. This is key when you're trying to build a personal brand. When your subscribers will associate your personality with your brand, you know you're going on the right track! Build a strong network around yourself- It’s the MOST effective way to look like a pro. If you want more help on how you can grow your own personal brand, join our community at FMIGuild and access instructional videos on personal branding, social media marketing, digital branding, and many more relevant topics. Click on the banner and join us now!